Ladies and Gentlemen. Yesterday marked the launch of a game on Kickstarter called Roll Player. Designed and published by Keith Matejka of Thunderworks games this one is definitely one to check out! Disclaimer: I don’t usually promote Kickstarter projects. When I do it’s because I have personally played the game and I enjoy it enough to endorse it. In nearly all cases I also endorse it because I know the designer or publisher. I never accept payment for my endorsements. And if you’re still reading, then let me offer up a brief preview/review of the game to give you a feel for what you can expect. In a game of Roll Player each player chooses a race (Elf, Halfling, Dwarf, and Human). Each player is also given a class card, backstory card, and alignment card. Each of these cards allows you to play differently than the other players. The objective of the game is to turn your character into the greatest fantasy adventurer. To do that they will seek to improve their characters by drafting dice, purchasing weapons and armor, learning skills and gaining traits. Players win the game by having the most reputation, which is achieved by creating the perfect character. This includes utilizing the right dice in the right locations, having the correct alignment on your alignment card, earning bonus points with your traits, skills, armor, and weapons, and generally being an awesome adventurer. At the start of each round a player will draw dice from the bag and roll them. This is the ROLL PHASE. After rolling the dice they will be put in order from lowest to highest on the initiative cards. Then that player will choose one of the dice and take the associated initiative card, which determines their player order during the market phase to come. That player will place the die into one of the character attributes on their player mat. This is the DICE PHASE. These attributes include strength, dexterity, constitution, intelligence, wisdom, and charisma. They can then perform the ability of the attribute they chose. Each attribute has a different ability. Strength allows you to flip one of your dice to the opposite side. Dexterity allows you to swap any two dice. Constitution allows you to bump the value of a die up or down by 1. Intelligence allows you to re-roll any one die. Wisdom allows you to modify your alignment on your alignment card. Charisma allows you to use a Charisma token and get money. Then in turn order players will purchase a card from the Market. These cards include skills, traits, weapons, and armor. This is the MARKET PHASE. Players will then apply their new card to their characters. Some cards serve as points to be counted at the end of the game. Some cards provide abilities for their character. But all serve to improve their overall character. Once all players have equipped these new cards then you move on to the CLEANUP PHASE. This is where the initiative cards are returned, the dice bag passes to the next player, and new equipment cards are drawn. What makes Roll Player special? A lot of people are familiar with fantasy and with role playing. What this game brings is a great way of building a fantasy character within a Euro game style. The dice drafting and allocation onto your character combined with each of the characteristics to manipulate previously placed dice makes this a unique, low luck strategy game worth checking out. Roll Player prototype components on display at Gamehole Con in Madison. I really enjoyed the aspect of choosing the right dice to help me accomplish what I wanted for my character. There is a nice balance of trying to choose turn order for the Market Phase versus choosing the die you want/need. Also, the artwork is bold and beautiful and really drew me in. I think the artist and graphic designer really did a great job and created a product that will look amazing on your gaming table. Keith Matejka and Thunderworks Games really have a winner here. Go back it today! Scoville: Labs Now on Kickstarter! The first expansion for Scoville is now live on Kickstarter! For $20 you can get the expansion. For $60 you can get the game and the expansion! But hurry, this campaign is only for 10 days and ends on August 21st! 6 Player Labs for private pepper research. 6 More “Plant 1 Extra Pepper” tokens. 5 each Green, Orange, and Purple Peppers. 5 each Black, Brown, and White Peppers. And there are stretch goals, so when the project receives enough funding then we’ll get more awesome stuff in the box! Go check out the campaign to learn more about the stretch goals. The laboratory workbench for the blue player. Scoville: Labs is great because it gives players something they lacked in the base game: Control. Now that the competitors in the Scoville Chili Festival are allowed to do their own research they’ve all installed their own lab. The lab allows a player to plant and cross-breed peppers outside of the influence of other players. Now they can have more control over some of the peppers they will receive, and when they will receive them. Using the 3 x 3 pepper lab players may plant a pepper in one of the pots each round. In subsequent rounds whenever a new pepper is planted it will immediately cross breed with the peppers directly adjacent to it. No one can mess with your lab, which means you have control over what you want to harvest from your lab. I really like how the simple 3 x 3 personal lab can modify the game in such a fun and exciting way. I’m looking forward to seeing what you all think of it. Plus, the expansion comes with more of those awesome peppers! So go check it out today! I’d love your support. Foodfighters on Kickstarter – 3 days to go! Time to get messy and join the Food Fight! Foodfighters is a game currently seeking funding on Kickstarter and it’s by Joshua and Helaina Cappel. Joshua is well known for his amazing artwork in games like Belfort and Scoville. Helaina founded Kids Table Board Gaming to create a place where kids’ creativity is at the core. With children of my own I know that I want them to find paths on which to be creative and perhaps board gaming and design will be one of those paths. For now, since they are little, that path begins with fun and engaging games, like Foodfighters. Boards & Barley (B&B): Hello Joshua and Helaina. Thanks for joining me for this blog post. Can you point the readers to where they might learn more about each of you as well as FoodFighters? Helaina Cappel (HC): Thanks Ed! Joshua Cappel (JC): Yeah thanks, nice to be here. We stayed at your family’s hotel chain a few nights ago, great stuff. Although mentioning your name at the desk didn’t translate to a discount. You should look into that. B&B: Unfortunately I don’t get a discount at “my” hotels either despite my name being all over them! What are your kids’ favorite games? What are your favorite games? JC: Our kids (boys aged 6 and 3) are particularly enamoured with Cockroach Poker. It’s the most-requested game in the house and it has spread amongst their friends. They also enjoy Gulo Gulo, Loopin’ Louie, Gobblet Gobblers, and a number of my own designs including Rescue Rockets (due out this year from Z-man Games), River Runners (prototype I’m shopping around) and of course Foodfighters! HC: There actually isn’t a day that goes by that our kids don’t ask to play something (thank goodness – Josh and I were hoping our kids would enjoy gaming as much as we do). I just hope, every time they ask for a game, that it is a game that we will enjoy playing as well. As much as I hate to admit it, there’s a bit of Chutes & Ladders in the mix, along with the games Josh mentioned. JC: Grrr, Chutes & Ladders. Every time we play it I enter a silent rage inside. Not even so much as a game designer, but as a game artist. So many things wrong with this. More than one pawn doesn’t physically fit in the same space! The board layout is a grid even though the topography is a path… there’s no reason that space 9 should be touching space 12, but it does… little kids never know whether they’re going left or right or up or down, and some smarter visual design would have improved this so easily. B&B: (Note to self: Don’t mention Chutes and Ladders around Josh.) Can you give us all a little bit of the Foodfighters origin story? Where did the idea come from and how long have you been working on it? JC: Foodfighters began as a totally different game; a semi-abstract game called Shutri. I designed it over a decade ago and although it was a favourite among friends, it was a weird duck to pitch to publishers. Generally publishers don’t go for abstracts, and generally abstract-game fans don’t like dice-rolling. Helaina insisted that the game was worth pursuing though, and eventually convinced me to add a theme and beef up the gameplay accordingly. No pun intended. HC: You are hysterical Josh! Yes, I loved Shutri from the beginning. It was engaging and fun for us to play one on one (I haven’t always been a big fan of two-player games). But there was something that was lacking. As the game evolved, so too did the fun factor, as well as the depth and complexity of the gameplay. When Foodfighters emerged, it became even more engaging, therefore easier to “sell” to people, and in terms of replayability. B&B: What are some of the highlights or lowlights of running your own Kickstarter campaign? Were there any surprises? JC: The highlights for me have been working with Helaina on this project, and discovering the unbelievable support we’ve gotten from our family and friends. Truly it’s humbling. The lowlight has been the unforeseen stress and difficulty of running a 30-day campaign; when your game doesn’t fund in 40 minutes like we all fantasize will happen, it can turn into a real grind. We keep discovering things we wish we could go back in time and change, but we can’t. Our strategy has been to keep consistently asking questions and listening to the answers; trying to adapt our campaign so that our existing backers stay happy and get more for their pledges, and so that we can appeal to new crowds of potential supporters. HC: I, too, have enjoyed working on the Foodfighters campaign with Josh. I think we make a really great team. I am taken aback by the outpouring of support we have experienced over the last few weeks. Not just from our friends and family, but from people who are genuinely excited about this project. I have met so many people who are interested in what I am doing, specifically for the reasons I am doing it; I want to make great games that are engaging for kids and adults. I was told, before this campaign began, that I would be on the edge of my seat for every second it is live. That is a complete understatement. The campaign has totally enveloped me. I didn’t realize how little sleep I would get, and that while I am sleeping, I would still be working on Foodfighters in my dreams. The appetizing components for Foodfighters! B&B: What makes Foodfighters unique? Why should people back it? JC: There are a few things that make Foodfighters unique. In gameplay terms, there is the thought-bubble system which clearly shows players which target a fighter is interested in attacking. This creates an interesting demand for the player to simultaneously behave offensively and defensively. The no bad results on the dice is a cool twist too… players want to roll splats when they attack, but if they miss, then the dice show Beans which the player collects. Beans are the game’s money, so you use them to buy cool stuff to improve your fighters. This is how we turned a “bad” thing into a “good” thing… players are sometimes actually happier when they miss! People should back Foodfighters for the gameplay, but also for what Kids Table is trying to achieve with it; I’ll let Helaina talk about that though. HC: Foodfighers is a game that is engaging for adults and kids. I want to make games for smart kids to play with their smart parents, and I want them to LOVE what they are playing. Game play should be engaging, and, there should be some aspect of strategy that can be managed by kids. Games that have a strategic component help kids to learn a great deal about gaming, and about life. B&B: I love your artwork style, Joshua, especially for Belfort. Regarding Belfort, which of the easter eggs hidden on the board was your favorite to draw? JC: Thanks! Belfort started my ongoing tradition of sneaking easter eggs into game art. There’s actually a Belfort reference hidden in your Scoville! I think my favourite one to draw was probably the Alien Scout ship (from the first TMG game I did art for, Terra Prime) being disassembled in the courtyard of one of the blacksmiths. There’s a crowd of onlookers, and wizards trying to figure it out while Gnomes and Dwarves pry panels off with crowbars. It’s a fun scene and it’s so tiny and pretty obscure. I’m sure people scanning the board for fun stuff like that had a tough time trying to figure out exactly what the reference was, ha! B&B: Tasty Minstrel Games mentioned a Foodfighters-Scoville Crossover in a Scoville KS update and on Twitter. Can you mention anything about that? JC: I can. The Foodfighters-Scoville crossover is a new fightin’ Hot Pepper Faction inspired by Scoville (Habanero, Jalapeño, and Phantom Pepper), with unique art and special team powers! Kickstarter backers will get access to a high-quality print n’ play of the faction so that they can mix up their game with these spicy fellows! HC: I was so excited to introduce the Foodfighters-Scoville Crossover. It just seemed so natural as a crossover. It turned out to be adorable. We’re hearing some great chatter about it. B&B: Helaina, I think Kids Table is awesome. What are some of your longterm plans with the company? Are there more games in the future? HC: Thanks so much Ed! I think it’s pretty awesome also! When I began Kids Table I started with an after school program. The goal of this progam is to have kids learn about games (mechanics and theme) while they play. After several weeks, they design their own games, going through several rounds of playtesting, finally coming up with a prototype, rules, and a sell sheet. I LOVE this! It is the most fun I have with kids (other than my own, of course), all week. But I also want to publish smart games for kids because there aren’t enough choices out there. Yes, this means that there will be other games down the road. And I don’t want to specifically publish Josh’s games either. When this Kickstarter campaign is over, I will be looking for my next game. B&B: Thanks so much to both of you for joining me. I wish you the best on the rest of the campaign. JC: Thanks, Ed! Only a few days left and we are bumping up against 90% funded! I think we can do it, but it’s going to be a nailbiter! HC: Thanks so much Ed! And readers, don’t forget to play with your food! We are in an exciting time for the board game industry. An industry often incorrectly perceived as old-fashioned, has embraced new business models, social networking, and a positive community to see new growth and ambitious products. Crowd funding sites have made it easier for game creators to get the funding they need to publish unique games, and the internet has made it easy to introduce yourself to talent from all over the world. Before our game, Aether Magic was able to launch on Kickstarter today in its current form, Jeff, Lee, and I explored social media, Kickstarter, and art blogs for an illustrator that could accomplish our vision for the game, while complementing Matt Worden’s terrific foundational mechanics. We were fortunate to have a few options after reaching out to many artists via email, but easily selected UK artist Jacqui Davis for her use of bright colors and style we were looking to achieve for Aether Magic’s fantasy environments. Working with Jacqui has been a treat, and to prevent myself from doing her life story injustice, I encourage you to learn more about her and her previous board game work on Stonemaier Games’ “Euphoria,” and Dice Hate Me’s “Belle of the Ball,” on the forty sixth episode of the Happy Mitten Games Podcast. There is no reason you can’t find a great artist for your own game, but I feel it’s important to do your part before ever reaching out to illustrators. Stunning artwork for Master Spell 1. Reflecting back on my initial thoughts for illustration, I originally felt that illustrators would enjoy less structure on their projects. I love to listen to interviews and I often hear from entertainers that company executives get in the way of their original ideas, which often result in uninspiring versions of their initial intentions and a hostile environment for free expression. Being sensitive to that, I wanted to apply that point of view to how we were initially approaching our art asset list, but was met with resistance from Jeff, who believed in having more structure. So who was right? In our experience of going through the process and interviewing multiple illustrators, it has become clear to me that Jeff’s point of view is widely preferred among board game artists and has likely saved us a lot of time. Though I am still curious to explore ways in which we could mold the two points of view together, I would now recommend having as specific instruction as possible in your own art asset list. While the artist is working on the illustration, be sure to communicate that you would like to see the progress of the illustration through each stage of the illustration’s development. The three of us reviewed what Jacqui was doing about four times during this process and Jacqui was able to make the small tweaks we needed without having to completely redo what she already invested her time in. While it’s true you should get what you want when you hire an artist, you should be sensitive to the fact that any contractors time is valuable and you should be doing your part to make sure you are not wasting it! Be sure to check out Jacqui Davis’ final illustration for Aether Magic, on Kickstarter February 10th. Hi everyone. Welcome back to Boards & Barley! I hope you had a great weekend. On Mondays I normally post about the board games and beer I enjoyed over the past week or two. But today I’m going to do something different. Why am I changing things up? Well, my budget has precluded me from backing KS projects lately. But there are several projects, designers, and publishers that I would have supported had the budget allowed it. So since I can’t back the projects I decided I can at least promote them a little! So I’m listing four current Kickstarter board game projects that I believe in. I recommend you check these out. Stockpile, by Seth Van Orden and Nauvoo Games, is a stock market game where players have high control over manipulating the market. In the game players are trying to maximize the market value of the stocks they own. This is done by choosing which cards you want to place face up and which cards you want to place face down. Once all players have placed they will bid over which pile they want. Eventually all players will receive a pile of cards. The cards are now reconciled by manipulating the market or dealing with a negative event. The ultimate goal is for players to best manage the market in their favor. This game has three days left on Kickstarter and is sitting at about 90% funding. Go help them out! $39 gets you a copy. DragonFlame was my favorite game played at the recent Protospiel-Madison. Designed by Matt Loomis and being published by Minion Games, this game is packed with amazing artwork and fun gameplay. In DragonFlame you are a dragon and your desire is to burn down the towns! To do so players will have a hand of cards. Then they will take turns placing cards either face up or face down onto one of the castles. Once all cards are played then in turn order each player claims a castle and its cards. This determines the player order for the next round. Players will score points for burning the villages, which they can do when they receive DragonFlame cards, or for collecting treasures and avoiding knights. After six rounds, the player with the most points wins. Rob Lundy did the artwork for DragonFlame and it really looks amazing. I’ll be buying this game when it comes out (and my budget allows for it). Go burn some villages! It has 17 days left and $25 gets you a copy. New publisher Roxley Games has their first Kickstarter project up and it looks fantastic! Steampunk Rally is a race game involving great inventors from Edison and Tesla to Marie Curie and George Washington Carver. These are some of the greatest minds of the past and they figured the best way to find out who is the smartest is to have a race through the Alps. So each of them is set to build the best machine to win the race. Using card drafting and dice placement players will build their machine and then operate in the hopes of winning the race. The artwork for this game is astonishing and I would back it for that alone! Go grind some gears and check it out! Steampunk Rally has 10 days to go. $49 US gets you a copy! New Bedford is the game I most regret that I’m unable to back. I played this for the first time a year ago at BGG.Con with Chris from Dice Hate Me Games. It is a truly great and enjoyable game. 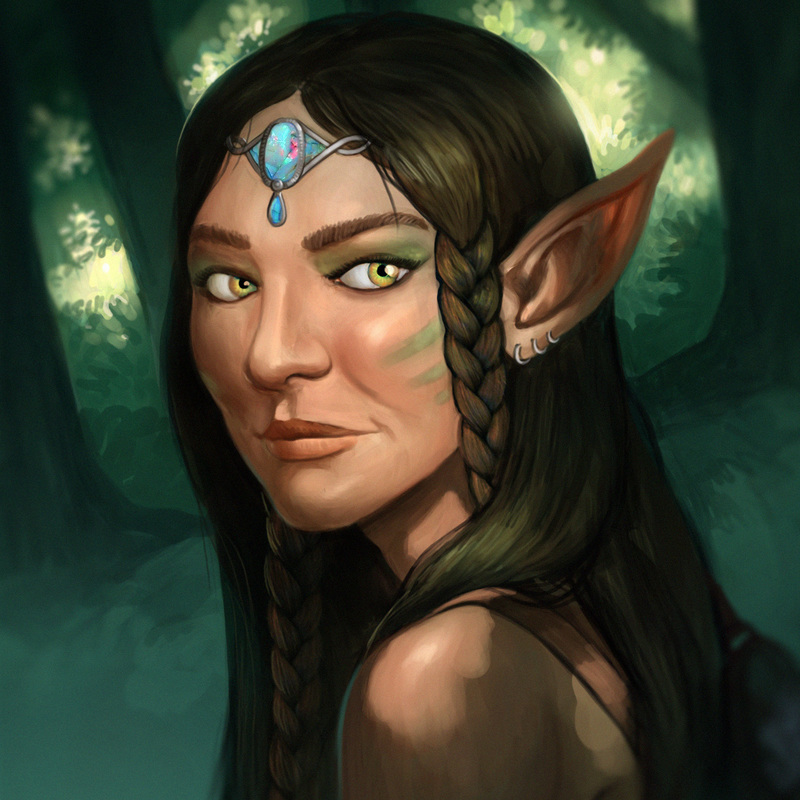 Nat Levan is the designer and you can check out his blog here: Oakleaf Games. He has written extensively about his design process for New Bedford. In the game you are helped to develop the town of New Bedford. You can utilize resources and send ships to see to capture whales, which provide income. This is a worker placement game that is streamlined and efficient. It is really enjoyable to play. So much so that I made my own copy with the PNP files from the Kickstarter page. Also, they do a great job dealing with what some people consider a controversial topic. I applaud Dice Hate Me for that. Go grab your harpoon and hit the open seas! New Bedford has 27 days left and is 50% funded. Grab a copy for $40.